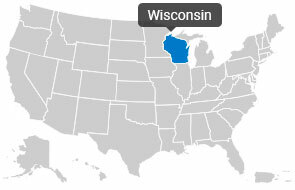 Wisconsin is the 30th state that became part of the country. It has 72 counties and 65, 503 square miles of land around its name. It is home to 7,446 streams and rivers that serve as a natural resource and scenic wonder for tourists and citizens alike. 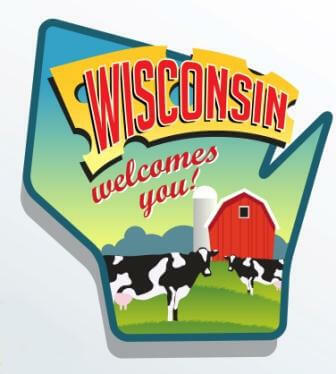 Also known as the “Badger State”, Wisconsin was the birthplace of the first practical typewriter (Milwaukee, 1867). Wisconsin is also known as the Ginseng capital of the world (Wausau), Troll capital of the world (Mount Horeb), Jump Rose capital of the world (Bloomer), Inner Tubing capital of the world (Somerset), Swiss Cheese capital of the world (Monroe), Loon capital of the world (Mercer), Snowmobile capital of the world (Eagle River), and Toilet Paper capital of the world (Green Bay). That last one is somehow, really celebrated too! These are just some the places to visit when you, your friends, our family decided to drive-by or reside in Wisconsin. Moving is a big life decision. Nobody can contest that. So whether you’re a current resident who’s planning to move to a new county in Wisconsin, or a newcomer who wants to stay for keeps, there are plenty of things that you need to prepare before you move. The first thing you need to do is to find a suitable living space that fits your preferences, budget, and lifestyle. Then comes the part that most people dread, preparing for the actual move. While it is true that moving can be challenging and tedious, a bit of preparation and organization will do the trick. What you need to do is book a good moving company, months in advance. After doing this, you can begin packing your belongings, at least 2 months before your move. You can do this by yourself or ask the movers to do it for you. Just ask them if there’s an extra charge. The next step is to prepare your finances, basic utilities and of course your source of income. Also, make sure to notify your friends and family about the move and your new address so they’ll know how to contact you. Ask them to forward any letters or packages that come for you at your old address. After planning your move, the question is where to find quality movers. This is where Top Mover Quotes steps in. 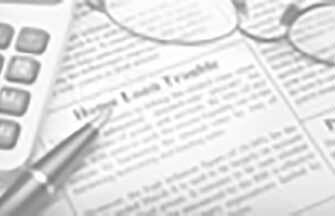 Top Mover Quotes is your best source for online moving quotes. We’re affiliated with the most reputable movers in the industry and we can give you movers that you need in a matter of minutes. You don’t even have to worry about the quality of the companies because we screen, interview, and visit all of them before adding them to our database. You can be sure that each quote is from a well accredited and properly licensed moving company. Start your Wisconsin move today! TMQ is here to help you. Adams, Ashland, Barron, Bayfield, Brown, Buffalo, Burnett, Calumet, Chippewa, Clark, Columbia, Crawford, Dane, Dodge, Door, Douglas, Dunn, Eau Claire, Florence, Fond du Lac, Forest, Grant, Green, Green Lake, Iowa, Iron, Jackson, Jefferson, Juneau, Kenosha, Kewaunee, La Crosse, Lafayette, Langlade, Lincoln, Manitowoc, Marathon, Marinette, Marquette, Menominee, Milwaukee, Monroe, Oconto, Oneida, Outagamie, Ozaukee, Pepin, Pierce, Polk, Portage, Price, Racine, Richland, Rock, Rusk, Sauk, Sawyer, Shawano, Sheboygan, St. Croix, Taylor, Trempealeau, Vernon, Vilas, Walworth, Washburn, Washington, Waukesha, Waupaca, Waushara, Winnebago, Wood. Barrett Moving & Storage has over 100 years of experience moving families and businesses. Our Milwaukee movers offer a wide range of moving services including household movers, office movers, trade show exhibit display moving & shipping, international moving and more. Visit our website at BarrettMoving.com to see what we can do for you! Established in 1986 My Mom and Dad started this business with their last pennies after working for a furniture chain,as the years have gone on myself and my sister along with our children have kept this company alive even through this economy. Meet the Business Owner: Michael K.
Two Men And A Truck® is not just a moving company -- it's a customer service company that moves. It's our goal to exceed your expectations every time you interact with our team.Two Men And A Truck is a full service moving company. We provide Statewide and Nationwide moving services. We offer packing, unpacking, move only, load/unload, and inhouse moving services.We also sell a full line of packing supplies, from boxes to packing paper. Worried about not getting enough boxes? Don't worry buy more then what you need and we will buy your un-used boxes back at full price!Call for your FREE, no obligation In Home Estimate. FrogBox delivers eco-friendly, reusable plastic boxes and other moving supplies, instead of cardboard boxes. Our eco-friendly, reusable FrogBox moving boxes and wardrobes will be delivered to your current residence along with easy to use labels. You pack and move. Once you have moved into your new home, we will pickup our FrogBox moving boxes from you when you're finished!